We know that standing in the grocery isle looking at every label of a product you're considering using on the HCG Diet can make you look a little crazy. Plus... between all the words like sodium benzoate, propylene glycol alginate, and glucose you start questioning what all this 'stuff' is inside your hot sauce. The answer is simple... most of this stuff is unnecessary, unhealthy, and NOT allowed on the HCG Diet. We've done our research and found the perfect, healthy hot sauce for you! It amazing while on Phase 2 of the HCG Diet and for anyone wanting to add some heat without adding calories, preservative, and other unknown ingredients. Introducing the Simple Girl Brand of Hot Sauce. 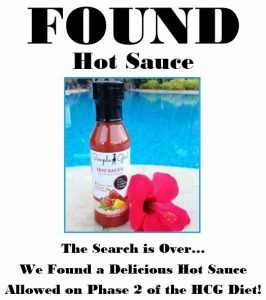 This hot sauce has simple ingredients, 0 calories, and is gluten free, fat free, preservative free, and contains no sugar or artificial sweeteners. What else could we ask for?! Put this hot and tangy sauce on anything! It’s allowed in any quantity on any phase of the HCG Diet. See how healthy this sauce is for you by looking at the ingredients list... Hot sauce (red peppers, distilled vinegar, salt, xanthan gum) water, apple cider vinegar, spice blend (paprika, garlic powder, xanthan gum, spice, stevia extract), xanthan gum, garlic powder, habanero pepper powder, stevia powder. Here's a few ideas of what to do with this hot sauce while on Phase 2 of the HCG Diet. If you like hot sauce, you’ll love this! Make HCG Safe Chicken Wings. Trim any visible fat from 100 grams of boneless, skinless chicken breast. Then chop into 1-inch pieces. In a large bowl, toss chicken pieces with your desired amount of Simple Girl Hot Sauce (amount depending on how brave you are). Sear in a non-stick pan until edges are crispy. Then finish cooking in a pre-heated oven at 350 degrees F until the chicken is thoroughly cooked and the juices run clear. Remove from heat, serve with celery, and enjoy! Make HCG Safe Spicy Steak Roll-ups. Take pre-cooked lean steak. Toss in your desired amount of Simple Girl Hot Sauce. Then place on large lettuce leaves, roll up 'taco-style', and enjoy! 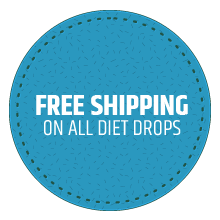 This product is also great to use if you are diabetic or on a special diet like Atkins, Nutrimost, Shape Reclaimed, Weight Watchers, or the Ketogenic Diet. 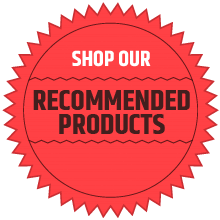 Check out what our customers think about Simple Girl Hot Sauce!